First impressions count. When shopping online, the first physical contact customers have with a specific brand is often handling the package that has been delivered to them. This is a unique opportunity for brands to make a favorable impression and strengthen their brand identity. First impressions count. When shopping online, the first physical contact customers have with a specific brand is often handling the package that has been delivered to them. This is a unique opportunity for brands to make a favorable impression and strengthen their brand identity. Or to mess up. While broken or low quality packaging sends a bad message, premium packaging can improve customer loyalty. Even better: Recently, online retailer Amazon premiered third-party advertising on its packaging. Industry experts expect that this model will be adopted by other retailers and distribution companies. Using packaging as a billboard could not only add revenue but also present new ways of cross branding and promotion. 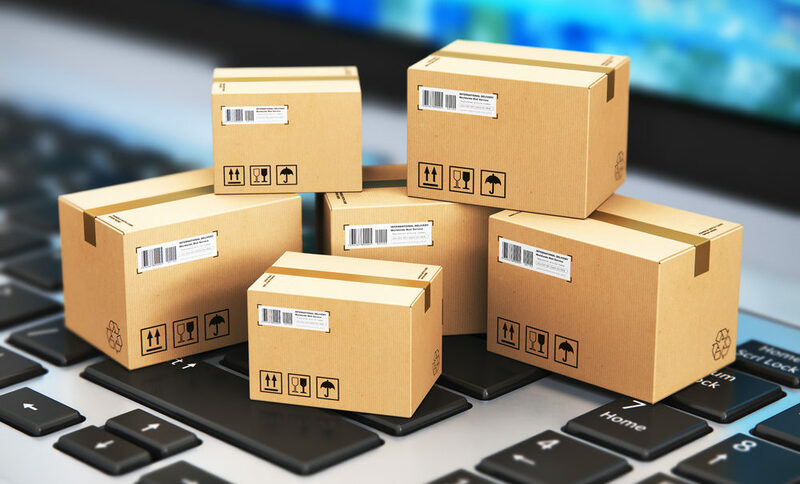 Whether it is upscale packaging or cross-marketing, one aspect of ecommerce packaging has been established: Customers not only care about the products they receive but also the box it is delivered in. According to the 2015 eCommerce Packaging Survey from Dotcom Distribution, more than a third of the 524 online shoppers said the use of branded packaging for online orders affects their perception of a brand or retailer. This becomes even more significant when you add social media to the equation: Thirty-nine percent of online shoppers have shared a product image or video on social media creating a ripple effect for brands that goes beyond the individual purchase. While premium brands have used luxury packaging for a while, there are several solutions from companies like Charapak in the UK including reversible packaging and returnable packaging. With reversible packaging, the inside of the corrugated box features a gift-wrap like print pattern while the outside is brown carton. Once the box has been received by the gift-giver, the box can be reversed to turn into an appealing gift box. The largest online retailer Amazon has chosen a different route. In a first-ever move, the company accepted third-party advertising on its delivery boxes. 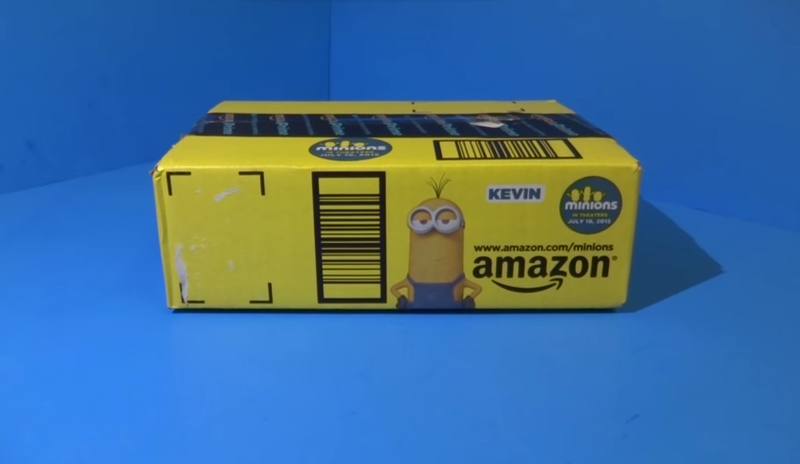 The first branded packages feature the yellow pill-shaped Minions from the Despicable Me movie. Putting advertising on the almost omnipresent Amazon boxes could be a smart move that may bring in additional revenue. However, the company didn’t respond to questions about their future plans and whether additional third party advertising campaigns were planned. While industry experts say that this is a model that may work for logistics companies like UPS and FedEx as well, they predict that we won’t be inundated with advertising on delivery boxes since the advertising would quickly loose its appeal if it became commonplace. Sutherland Packaging has come up with a technology that helps companies to make the most of their ecommerce packaging. The company has developed a way to print directly onto large or small-scale corrugated units. This eliminates the need for lithographic label printing and saves costs and time in the process. It is also environmentally friendly since direct print on carton is fully recyclable, according to the company. Graphics can be changed quickly as well. Eric Stanton, sales manager at Sutherland, sees great opportunity in third-party advertising on ecommerce packaging: “With more and more people using this order and delivery method, it has become a great advertising medium and a platform for cross branding”, he said in an email interview. One trend he observed is particularly interesting: The more luxurious the item that is shipped, the more inconspicuous the exterior of the package. This is done to give no indication about the value the box contains, enhancing security during the delivery process and minimizing pilfering. In those cases, the elegant printed graphics are still there, on the interior of the box. They are only revealed when the package is opened. Awesome article and nicely listed what’s new in packaging..it was worth reading it. Thanks for sharing. we do agree on this packaging do play one of the key role in branding impact.